Telecommunications technology is constantly changing and improving – seemingly faster and faster every year – and at Teracom, we keep our training courses up to date to reflect these changes. In the last post, we identified eight major developments and trends in telecommunications incorporated in our training. The voice entering the microphone is digitized in the near-end phone. Typically 20 ms of digitized voice is packaged in an IP packet, which is carried in an Ethernet MAC frame on copper and fiber LAN cables to the far-end phone. There, the digitized voice is extracted from the packet and used to re-create the voice coming out of the speaker at the far end. There are, of course, many details not mentioned, including the digitization method, called a codec, the Real-Time Transport Protocol (RTP) that adds timing information, the User Datagram Protocol (UDP) that adds error control and indicates the port number on the far-end phone, and how the bits are represented on copper and fiber LAN cables, to mention a few. In a traditional phone system, voice travels on a dedicated circuit to a telephone switch, which physically transfers it to a different circuit to get it to the far end. Not so with VoIP! The near-end VoIP telephone creates a packet addressed to the far-end telephone, then the packet travels over LAN cables and through routers, interspersed with many other packets, to the far-end telephone. The VoIP packet does not pass through a telephone switch. The two VoIP phones exchange packets directly. So a question is: how does the near-end telephone know what the far-end telephone’s IP address is? This is accomplished with the Session Initiation Protocol (SIP), which implements servers allowing the calling party to find out the IP address of the called party – if the called party wants to accept the call… a privacy shield to prevent Spam over Internet Telephony (SPIT). The servers implementing SIP are called softswitches. They are call setup assistants, and drop out of the picture once the call is established. The phones communicate packets directly. What happens if the two telephones are in different cities? How does the packet move from the near-end VoIP phone to the far-end VoIP phone? One method is to use a gateway to convert the VoIP to an old-fashioned phone call and carry it over PBX trunks and/or telephone company trunks to the far end, where a gateway converts it back to VoIP… but this loses out on the voice-data-video integration synergy of IP communications. Another method is to carry the VoIP packet over the Internet… but there are no quality guarantees on the Internet. A third choice is to pay a carrier to move the VoIP packet from one building to another, as an IP packet, with guaranteed quality. This is called SIP trunking. It should be called VoIP trunking. “No longer Greek to me! After taking your course, I sat in on a round table at a conference yesterday where VoIP was discussed by Time Warner Cable and Vonage – and I understood most of their diagrams and explanations – something that would have been Greek to me two weeks ago. Thank you!” — Bob Sabin, Tel Control, Inc.
Teracom’s training represents the core knowledge set required for the telecom business. We’ve been teaching people the fundamentals of telecom and networking since 1992, so there have been many changes to the core knowledge set, and updates to our training over the years! Check out Teracom’s best-of-breed training – with free tutorials! For the new school year, we have updated our core training yet again, with some significant shifts. For example, Voice over IP is now part of the fundamentals, and channelized systems like T1 and SONET are now referred to as “legacy technologies” for the first time ever. 1. All new phone systems are VoIP. SIP trunking services replace PBX / PRI trunks from LECs. 2. Optical Ethernet has replaced SONET for all new core fiber network projects, and is also routinely used for “last mile” connections, achieving a long-held goal in telecommunications: one technology for all parts of the network. 3. MPLS has replaced ATM for traffic management on carrier networks, achieving another long-held goal: convergence and service integration… one network service, one access circuit, one bill for all telecom services. 4. 4G LTE has achieved the goal of a worldwide standard for mobile wireless. 5. “Data” on cellular plans means Internet access. It can be used for phone calls, video on demand, web surfing, real-time traffic on maps or any other application. Cellular data plans can be replaced with WiFi, which is often free. 6. Broadband carriers, also known as Cable TV companies, have evolved into telecom companies, gaining a majority share of residential Internet access in the USA, and providing services to business using both cable modems and fiber. 7. Telephone companies provide Cable TV service using Fiber to the Neighborhood and VDSL over loops in brownfields, and often Fiber to the Premise in greenfields. 8. In the future, the Internet and the telephone network will be the same thing. Basic telephone service will be “IP dial tone”: the ability to send an IP packet to any other point on the network. There will be no such thing as “long distance”. totally up-to-date with the new-generation network. Our famous instructor-led training Course 101 “Telecom, Datacom and Networking for Non-Engineering Professionals” covers the key knowledge set required in the telecom business… so must be updated regularly.When the course was first written 20 years ago, the Internet did not exist. In the lastest update, the basics of Voice over IP are in the “Fundamentals of Telephony” chapter! To quote Loretta Lynn: We’ve come a long way, baby! Check out the new outline. The latest edition reflects how “convergence” has finally been achieved by treating voice and video like data, in IP packets. VoIP is promoted to “fundamentals”, channelized TDM and SONET is demoted to “legacy technology”, replaced with IP/Ethernet backbones. Other updates include fiber to the home, and VDSL and DOCSIS 3.1 for the last mile. As always, our goal is to bust the buzzwords, demystify jargon, understand technologies and mainstream solutions and – most importantly – the ideas underlying all of this, and how it all works together, in plain English … knowledge you can’t get on the job, talking to vendors or reading articles. DVD6: Wireless Released! Free lesson, introduction, launch specials! We’re very pleased to announce the release of our latest DVD-Video Course DVD6 Wireless: totally new, over 3 hours long with 28 lessons and a 74-page course book and certificate. You will gain a real understanding of how digital radio communications works, how a cellular network operates, the cellular technologies and generations, plus WiFi, Bluetooth, satellite and much more. ISBN 9781894887083 Length 185 minutes. 74-page course book. Author adminPosted on May 30, 2014 Categories specials, telecommunications, training course, wirelessLeave a comment on DVD6: Wireless Released! Free lesson, introduction, launch specials! My favorite: the FedEx Analogy to explain the OSI layers, what each layer does and how they work together in protocol stacks. Here’s the latest free tutorial, with embedded video of yours truly and my favorite analogy: the FedEx Analogy to explain the OSI layers, what each layer does and how they work together in protocol stacks. Enjoy! Author adminPosted on April 12, 2013 Categories telecommunicationsLeave a comment on My favorite: the FedEx Analogy to explain the OSI layers, what each layer does and how they work together in protocol stacks. The term comes from the Institute of Electrical and Electronics Engineers (IEEE) 802 series of standards for LANs and MANs developed following the invention of Ethernet LANs by the Digital Equipment Corporation (now a part of HP), Xerox and Intel in 1979. And people say Xerox never does anything original! 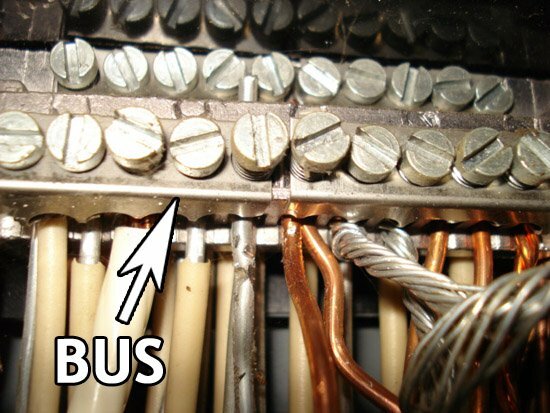 The first kind of LAN, Ethernet, employed a bus topology. The term bus comes from the Latin word omnibus, meaning “all”. It is used in electrical power systems, where a bus is a thick metal bar used to distribute electricity to many circuits. A recent report of a Cisco VoIP phone vulnerability is very disturbing. This is more serious than phone calls. — or in fact, “continuously monitor and record all sound in people’s offices, boardrooms and bedrooms”. Tutorial: What is a Port? The term “port” crops up in IP networking, particularly in the context of rules in routers and software firewalls. One hears about “opening a port on a firewall” and “TCP ports” and “UDP ports”. So just what is a “port”, exactly? Like about 40% of the words in English after the Norman invasion of southern England following the Battle of Hastings in 1066, the English word “port” is French. Une porte is a door. Of course, the French got it from Latin: porta (gate, door). The Latin word portus (port, harbor, and earlier, entrance, passage) and the Greek word poros (journey, passage, way) are obviously related. In the computer hardware business, a port is a doorway into the machine: a jack, where a cable can be connected. In days past, there were serial ports and parallel ports on PCs. Today, we have USB ports and LAN ports. Technicians talk about connecting customers to ports on access equipment, for example, equipment with banks of modems. In the computer software business, a port can be thought of as a doorway into the software running on the machine, a passageway to a specific computer program running on the computer. Why is this necessary? Since there can be many computer programs (a.k.a. applications, apps) running on the same computer at the same time, when trying to communicate to a particular program, we require a mechanism to identify it, a way of telling the host computer to which program to relay our communications. For example, we all know that it’s possible to have multiple applications using the Internet connection on a computer at the same time. Think of an Outlook email program and a Chrome browser program running at the same time on a PC connected to the Internet. When data arrives at this computer, how does the computer know whether this data is for the email program or for the browser program? And how does it convey the data to the correct program? The answer: every program is assigned a number called a port number. Your browser is assigned port 80, for example. Here’s how it works: the sending program creates a message and tags it with the port number identifying the program it wishes to communicate with on the destination computer. This is put in a packet that is tagged with the network address (IP address) of the destination host computer and transmitted. When the packet arrives at the destination computer identified by the IP address, this receiving computer looks at the destination port number and parks the message in a memory space associated with that port number. The program on the destination computer assigned that port number is constantly checking that memory space to see if there is anything new waiting for it. The result is the ability for a computer program running on one computer to communicate with a specific computer program on another computer. Visiting our warehouse service a couple of weeks ago, I was struck by the analogy possible between the idea of computer ports and a multi-tenant warehouse, so whipped out my Android smartphone and took a picture with the totally cool panoramic feature. The warehouse is analogous to the host computer. It has a single street address. It handles goods for multiple users. Users have space allocated inside the warehouse. The warehouse has (on this side) six ports, also called loading docks. Each port has a number. A user can be assigned a port, either temporarily or permanently. To communicate goods to that user, they’re carried in a shipping container (IP packet) on a truck (Ethernet frame) over a road (LAN cable) to the warehouse at its street address (IP address). To get the contents of the shipping container delivered to the correct user, the truck is backed up to the appropriate loading dock (port) identified by its door number (port number) and the contents of the container are unloaded to the space behind that port. In computer communications today, the port number is 16 bits long, and the source and destination port number are populated at the beginning of the transport layer header, Layer 4 of the OSI model. The world’s most popular standard protocols for implementing the transport layer are the TCP (Transmission Control Protocol) and UDP (User Datagram Protocol). Hence, one hears of “TCP ports” and “UDP ports”, particularly when configuring rules for packet forwarding on a router or firewall. When one “blocks” a port, that means that communication to a particular computer program is denied. When one “opens” a port, communication to that computer program is being allowed. Standard practice is to allow communications only to specifically-identified ports and deny all other communications. The port number of the application and the IP address of the host computer concatenated together is called a socket in UNIX and IP and is called a transport service in the OSI model. The result is the ability to identify the specific source computer program on one computer and the specific desired destination computer program on a different computer. Author adminPosted on December 11, 2012 Categories IP, networking, tutorialLeave a comment on Tutorial: What is a Port? Join Teracom Training Institute’s affiliate sales program, advertise Teracom Online Courses and Certifications on your website, and earn a commission on every student you refer who registers for Online Courses and Certifications! Teracom is the leader in telecom and network training courses, developed and refined over twenty years. Teracom training courses now available online are top-notch, top-quality and right up to date. We’ve partnered with the Telecommunications Certification Organization for certifications. Students register for a Certification Package, which includes courses and certification exams, complete the courses and exams, and earn TCO Certification, with diploma, letter of reference and more. To be accepted as a Teracom Sales Affiliate, you’ll need to have an established web site or blog with sufficient daily page views by unique visitors, and place descriptive text and graphics describing Teracom courses on your site. Not only will you earn 20% of net proceeds from students who are referred from your site, becoming a Teracom Training affiliate adds prestige to your site, and may complement other content on your site or add to other training affiliations you may have, making your site in turn more valuable. There is no cost to become a Teracom Sales Affiliate. There are, of course, terms and conditions that must be respected, including a minimum sales level that must be maintained to remain in the program. 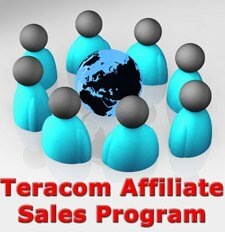 To begin the process of becoming a Teracom Sales Affiliate, please complete the “contact us” form, stating that you would like to apply to join the Teracom Affiliate Sales Program, and include the address of your website.